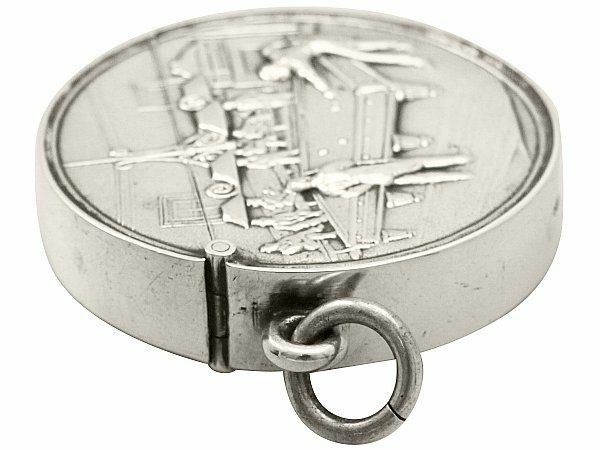 This fine Edwardian sterling silver vesta case has a plain circular form. 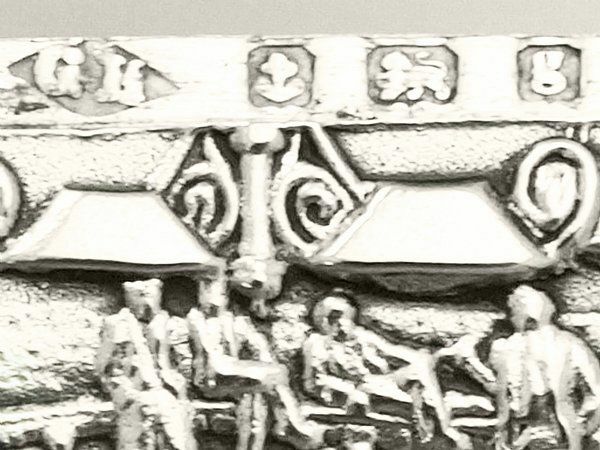 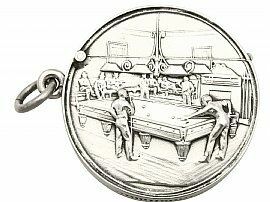 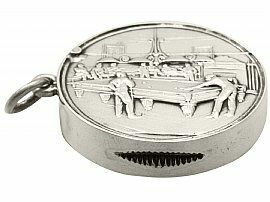 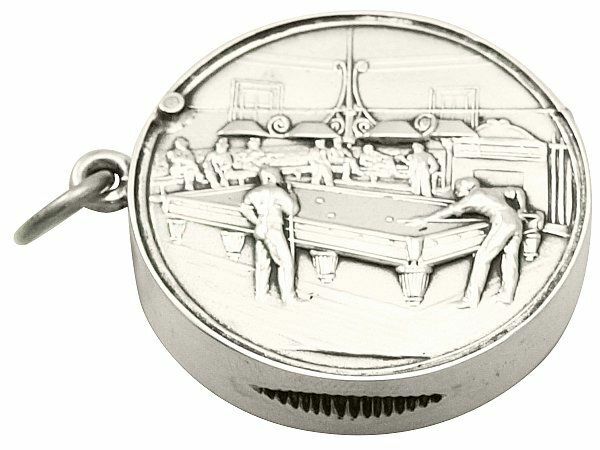 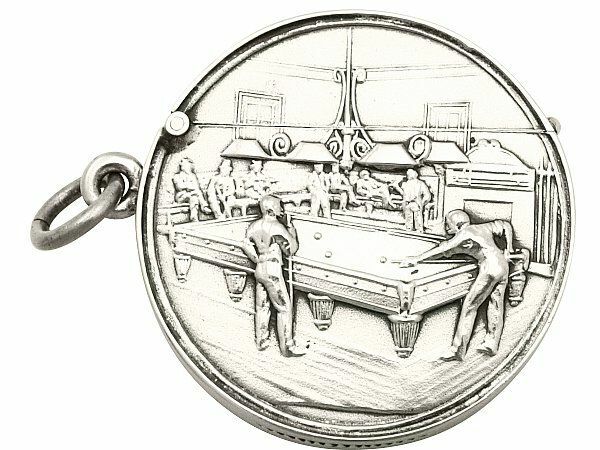 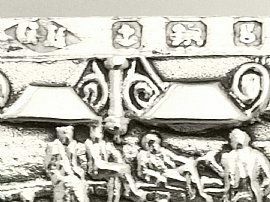 The anterior surface of this antique sterling silver case is embellished with a chased decorated scene depicting a billiard room with seated characters to the background and male figures playing to the foreground. 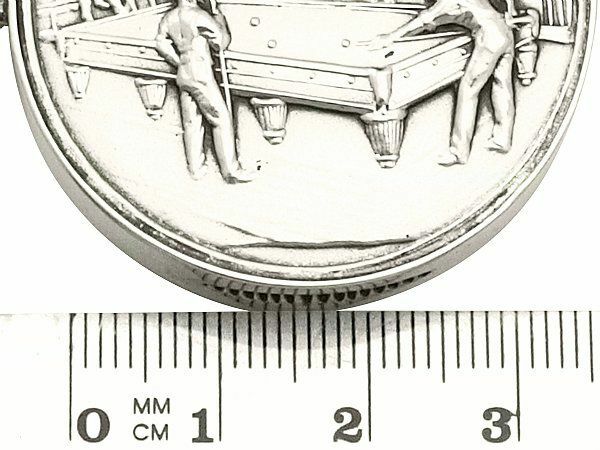 The reverse surface and sides of the case are plain and unembellished. 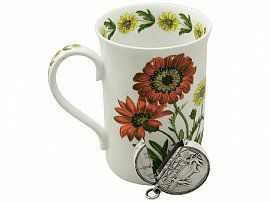 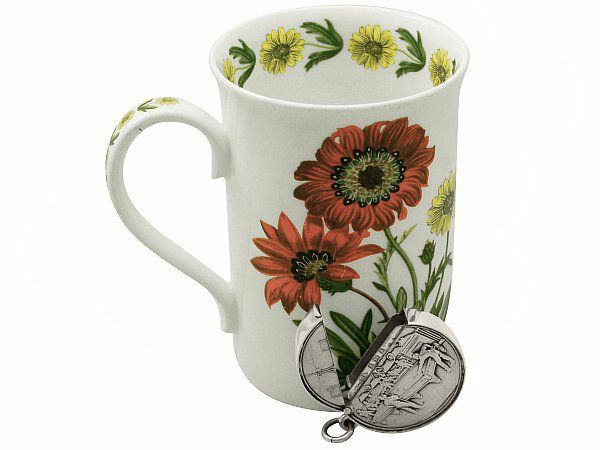 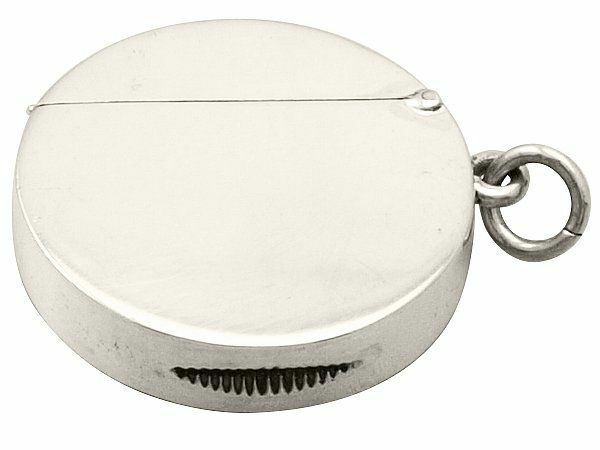 This piece is fitted with a hinged spring cover and ring loop attachment to the side. 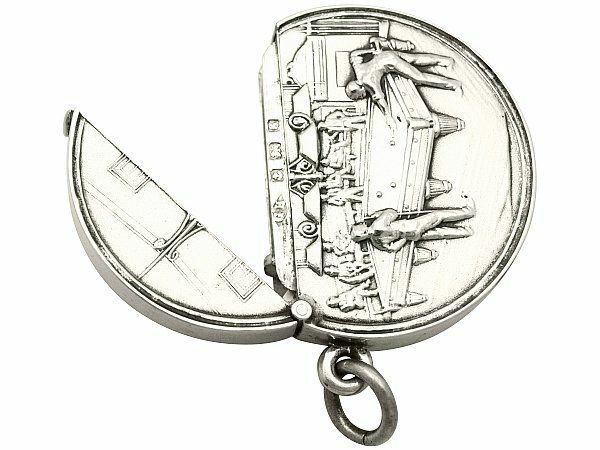 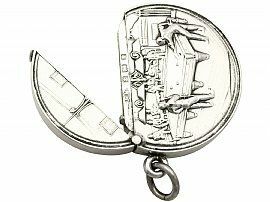 This fine antique sterling silver case incorporates a serrated panel/match striker to the underside. 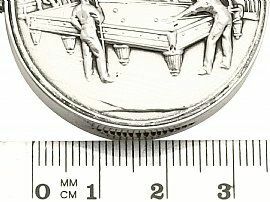 Full hallmarks struck to the surface of the rim of the case are all very clear. 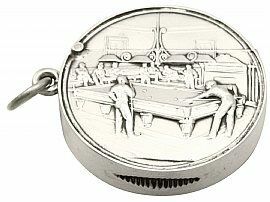 Reflections in photographs may detract from the true representation of this piece of antique Edwardian silverware.